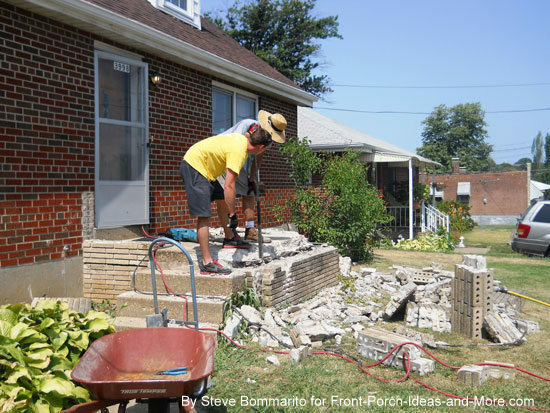 Build a front porch in the city: That is exactly what Steve and his son did. 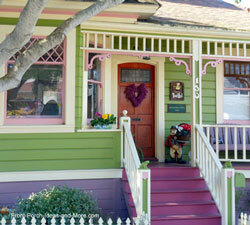 They transformed a plain ranch home bungalow with a small stoop into a real charming home with a lovely front porch. In spite of hot days in the city, Steve and his son undertook this project and the results are priceless. 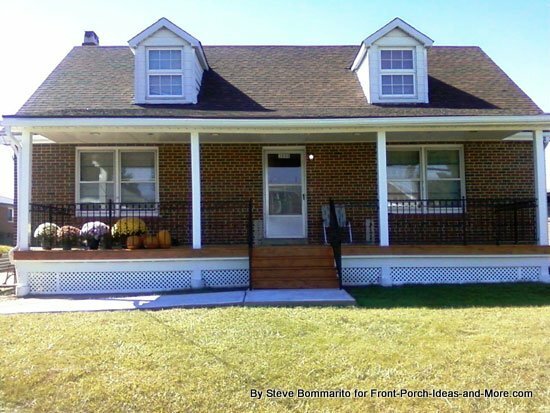 Steven comments on how often his children and grandchildren visit their home now that they have this very welcoming front porch. After finally gaining the confidence (and the wife's encouragement) I hired my young minister son to help me remove the old concrete porch and create our new 32' x 8' front porch. 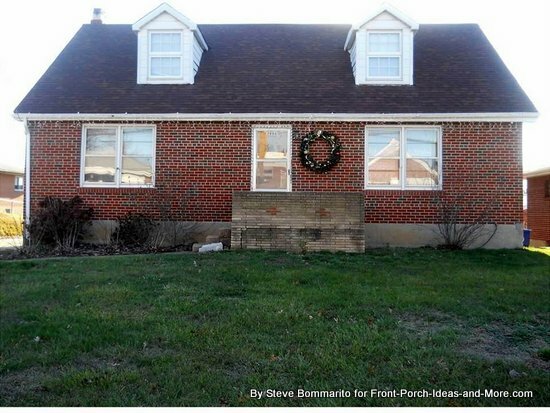 Here you see what our home and porch looked like before we started the new porch. 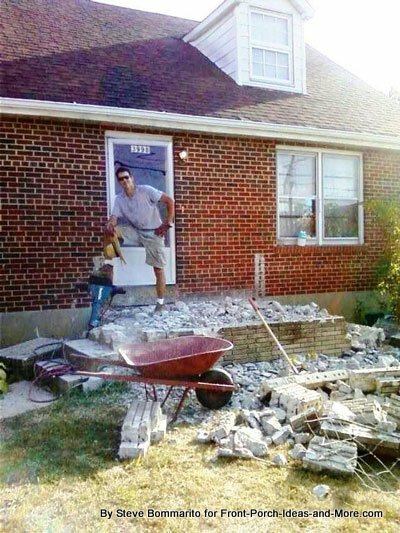 Before construction began, we simply had a small stoop. My son and I spent the summer building our new front porch. Framing on the new porch begins. The floor joists and porch posts go in. 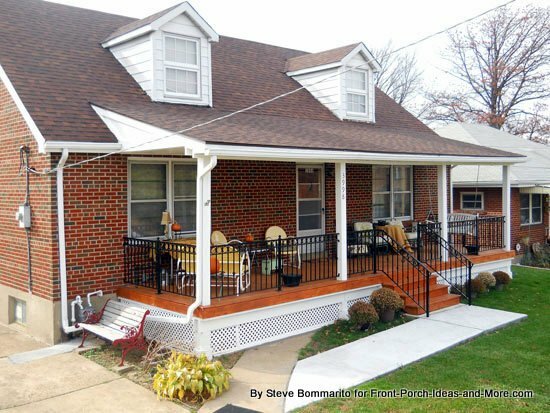 Wow, what a difference their new front porch makes on Steven's home. The St. Louis City inspector was very happy and our 6 kids and 6 grandkids have been in front of our home more in the past 3 months than the prior 15 years. 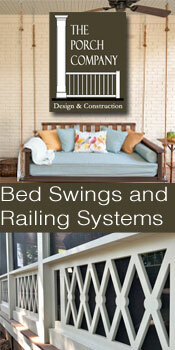 This site helped me tremendously for design ideas, especially for the inner porch ceiling. As my good friend says - "HAPPY WIFE - HAPPY LIFE" - she's happy:). 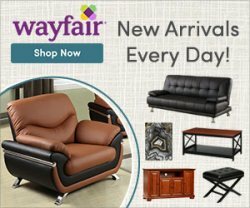 Thanks again for this site and the great ideas shared. Mary and Dave: Wonderful, Steve. 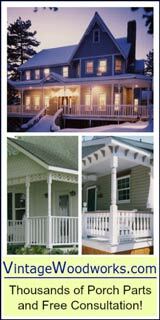 Your new porch adds so much to your home and what a testament to the value of a porch. Priceless. Thank you so very much for sharing this with us and for your kind words about our website. 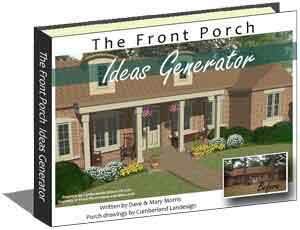 We take great pride in helping to give people good ideas for building a porch. Our very best to you and your family. 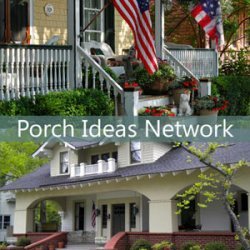 Enjoy your porch as much as you possibly can. 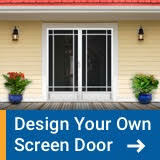 Thanks for taking the time to show us your new front porch. Linda Odle: From stoop to stupendous! We had a small stoop on our house for probably 25 years. I begged my husband to get a porch added. He finally agreed, and now HE loves it as much as I do! 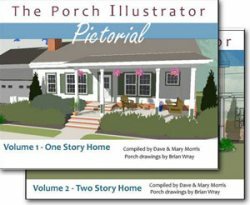 I don't know why porches fell out of favor for so long! Can't wait for spring to we can sit out there again. What a nice change. 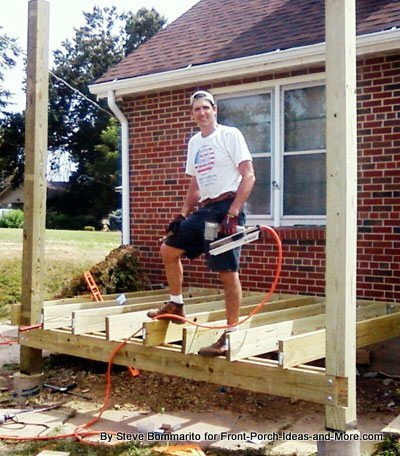 Gary Evans: Living close by I got to watch this porch being built. 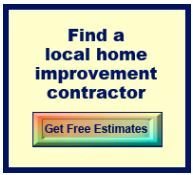 They did a fantastic job on the project. The St. Louis heat was unbearable, but they continued on. The difference in the before and after is like night and day. They now have a great, shady, porch which will hold all the grandchildren and some moms and dads too. Great job, Steve and Steven. 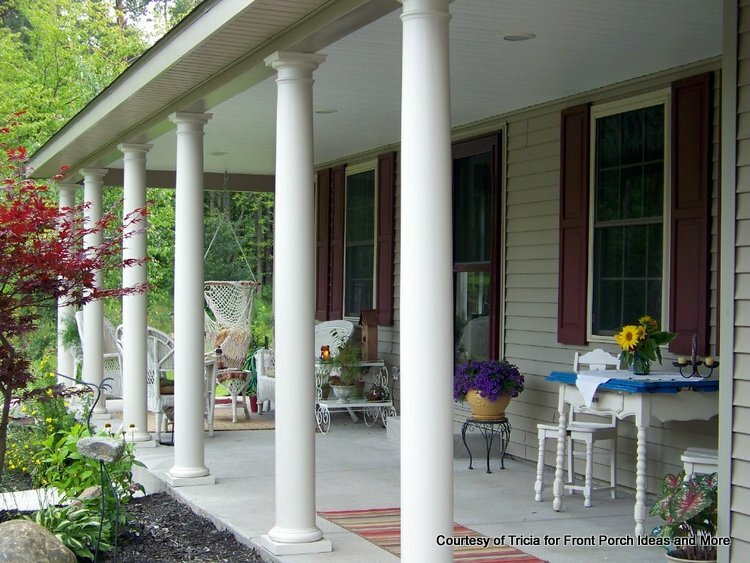 Another reader shared stories about adding a front porch to her home, too. We're pretty sure you'll enjoy Tricia's before and after.